402 Hwy 195 aka 402 Butte Blvd. 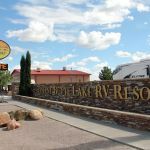 Ask fellow campers about "Elephant Butte Lake RV Resort" and nearby attractions. Answer: Hi HarleyGlider..we have two pet areas and both are fenced. We have a small one for small pets and a very large one for larger pets. Thank you for the question. Question: How good is the wifi in the park? Answer: The Wifi, under normal conditions, is great! We called ahead and arrived after hours. They had a site for us, but they didn't leave a way to access the restrooms and laundry. You need a key card for these. We called the number for security and a gentleman came within 5 minutes and gave us cards. There were nice, clean grills for common use. The facilities were wonderful. We'd stay here again. We camped at Elephant Butte Lake RV Resort in a Motorhome. Lodgers and sales taxes add about $6 extra dollars to the rate. Check your receipt for accurate billing. I was in an upper level back in space and I just looked at my receipt and the rate I was charged is for an upper level pull through space, according to the Site Rental Rate Schedule I was given. I should have checked it while I was there. There were pull through sites available directly across from my space but I was directed to a back in space. Rates vary through the year depending on when you stay. I stayed two nights due to high winds on the day I was to leave and park staff accommodated the unexpected extra day. Despite what I believe was a billing error, Park personnel are very nice and helpful. Park is very clean with paved roads on the upper section where I stayed. Spaces are level gravel and the utilities are nicely situated mid site. Some sites were paved concrete but appeared to be occupied by long term. Large beautiful enclosed pool/spa area. Large meeting room across from pool. Restrooms/laundry on both upper and lower levels. Rec room/game room on the lower level. Two dog run areas, one very small and one literally huge. No fire rings or picnic tables at sites. Free wifi (did not use as I have a hot spot) and cable TV although TV requires a cable box available from the office. OTA TV reception was good with several stations. Verizon signal was good. We camped at Elephant Butte Lake RV Resort in a Motorhome. Elephant Butte reservoir is nearby as is the elephant Butte State park. Walmart in town for resupply of essentials. I am so sorry to hear about the overbilling. If you will call the office, we will be happy to make up the difference to you directly and leave a credit for your next visit. Thank you for taking time to leave a review for us. Our #1 priority is making sure that our guests have a great experience when visiting Elephant Butte. By the way, about 85% of our sites do have picnic tables so the next time you stay with us, if you don't have a picnic table, please let the office know. A lot of the time, some guests like to "borrow" a picnic table from another site! We appreciate your kind words and look forward to your return. Merry Christmas to you and your family! We stayed in a spacious back-in site #126. Only problem is that it was not level and we had some problems leveling up. Utility service and placement was excellent. We camped at Elephant Butte Lake RV Resort in a Motorhome. Hi Altoflyfisher, Thank you for your kind review. No one has ever mentioned the unlevel issue at site 126 but we will be sure to check it out so thank you for that! We are thrilled you had a good stay with us and truly hope to see you again. This is a very handy park for access to Elephant Butte Lake and the surrounding area. 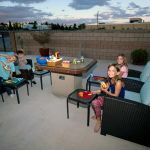 It is well maintained with clean sites and modern utility hook-ups. Streets in this park are paved and the sites are pea-gravel. The site was wide enough to park your boat or truck and still have room for picnic tables. The staff was very friendly and helpful. I needed some assistance with the sewer cap, called the office, and help arrived immediately to resolve the minor issue. I will return to this RV Park. We camped at Elephant Butte Lake RV Resort in a Fifth Wheel. I was very impressed with the Military Museum in T or C. This park also offers discount coupons to many businesses in the area. Good morning Nomads! I agree with you...the Military Museum in T or C is amazing...I have spent hours there and still haven't seen everything! We want to thank you for being our guest and look forward to your return! Thank you for taking time to post this review! This is truly a resort. Roads are VERY wide and easy to maneuver. Sites are large and long with concrete patios. The park is super clean. I chose a premium back in (#180) and it was great. Next time I would like to try one of the Pull thru Garden sites. Oleanders and bushes everywhere. The clubhouse has a beautiful indoor pool with glass doors that bring the outside in but keep you in the shade. I found excellent wifi reception at my site. This is definitely an oasis. We camped at Elephant Butte Lake RV Resort in a Motorhome. Thank you so very much for your kind words. We are thrilled that you enjoyed your stay with us and believe you will enjoy a pull through cactus garden site when you return. We look forward to your return. Safe Travels!! This park is easy to find and the sites are nice and big. They say "No rig too big". The utilities are easily accessible and the supply a water hose at each site. The internal road and nice level sites are gravel but have a nice big concrete patio and picnic table. The sites are clean and tidy and are on a few different levels of the mountainside.The only complaint is that the WIFI is terrible and drops off constantly no matter what time of the day or night you use it. The office staff are wonderful. We camped at Elephant Butte Lake RV Resort in a Travel Trailer. 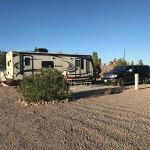 Hi Kiwiyankee: I would like to thank you for your kind words however you did not stay at Elephant Butte Lake RV Resort...you stayed at Cedar Cover RV Park whose slogan is "No Rig Too Big". 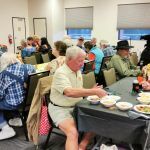 Cedar Cove is a wonderful RV Park with great staffing and guests but you may want to change this to the Cedar Cove page on RV Park Reviews to give them the credit due. Thank you for staying in Elephant Butte!! Two level park that may require walking and/or stairs to get to the pool, tv lounge etc. We had some view of the mountains at a back in site on the upper level. The lower level seems nicer because the sites are spaced out more and landscaping is present. Told when I made a phone reservation a picnic table would be at my site but it was not. We camped at Elephant Butte Lake RV Resort in a Travel Trailer. Lots of local and Southwest history at the Geronimo museum in Truth or Consequences. There is a coupon for free admission to the museum on the RV park map given at registration. Hi sp123: Thank you for your review. Keep in mind that when you return, call the office if you do not have a picnic table. Not all sites are large enough and we find that the sites that do have them, are often "borrowed" by another guest. Again, thank you for taking time to write a review of your stay with us. This is a great private RV park across the road from Elephant Butte Lake State Park. 50amp FHU with tons of amenities. The laundromat is better than most private laundromats. 2 double washers, 10 single washers and plenty of dryers. 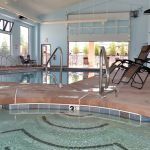 They have an onsite private dog wash, an indoor heated pool, hot tub, games like corn hole, bocci ball, pickleball etc. The bathrooms are single, private rooms with showers. Everything was super clean and new. The roads are newly paved and easy to navigate. The sites themselves are crushed gravel and level. They offer a cable box for stays over 3 days. I chose to go with the OTA channels which were fine. Cell reception was good. Verizon 7d/l, ATT 19 d/l and the campground wifi was 12 d/l. I didn't try T mobile. The staff was incredibly nice and efficient. They had my paperwork ready when I checked in and the total check in time was only 5 minutes but yet they still gave me plenty of information about the area and didn't seem rushed. Across the road is Elephant Butte Lake State park with water activities and hiking. There's also plenty of shopping nearby with groceries, Walmart and other stores. It's an easy location off the hwy but no road noise. Good walking spaces for dogs and 2 dog parks (small and large). Overall one of the best run private parks we've experienced. The only thing making it 4 stars vs 5 is the area itself isn't all that exciting to spend time in. We camped at Elephant Butte Lake RV Resort in a Motorhome. We are thrilled that you enjoyed your stay at our RV Resort. Thank you for taking the time to write this review; we hope you will return for another visit. Fairly new park - laid out very nice. LONG pull-thrus for short term, but somewhat narrow. Just need to plan how far your slides are going on for positioning your RV when parking. Lots of nice landscaping throughout the park. Large, clean laundry facilities and individual restrooms with clean showers. BIG dog park and the Best Western across the street offers 10% discount on food. Food was great and very reasonably priced with good service. We camped at Elephant Butte Lake RV Resort in a Fifth Wheel. Go to Truth or Consequences to the Riverbend Spa for a private Hot Springs room. AWESOME. Thank you so much for taking time to write a review of our Resort. It was a pleasure to have you here as our guest and we look forward to your return. The rate represents the monthly rate plus the cost of electricity. This is a lovely park and a good place for an extended stay. If one is only staying a few days, the daily rate is about $50, which admittedly would be a bit pricey for us. This is a great park, with spacious sites, and very nice landscaping. We will likely come again in the Spring for an extended stay. We camped at Elephant Butte Lake RV Resort in a Motorhome. We go there for the four-wheeling on the nearby mountain and desert trails. We noted many other campers are there for the boating and fishing on near-by Elephant Butte Lake. We were not given any information after calling their office after hours. Apparently their phones were never forwarded to night status and no one returned our call. We got information from a woman at Walmart that said we were still able to get into the park after hours. A very nice lady at the front desk at the inn gave us information regarding the procedure for after hours. We got in around 10 o'clock and chose a spot based on the available slots for rental no pricing was shown. We had no Wi-fi information nor box necessary for cable. The next morning I spoke to staff in their office and asked for a discount based on the fact that we were only there for 2 hours the previous evening with no Wi-Fi and no cable TV. We did receive a discount based on our Good Sam membership but also found out the site we were in was much more expensive than we had originally planned to spend. We spoke to the clerks at the front desk at the inn and they explained that the phones should have been answered in the RV park no matter the time. We were asked why we did not contact security and it was not detailed on the door that security would handle after hour placement. We will probably not stay here again due to customer service policies as no one in the rv office was authorized to give any additional discounts based on their errors. Park was extremely clean and amenities were great, was a bit pricey though. We camped at Elephant Butte Lake RV Resort in a Travel Trailer. Thank you for spending four nights with us. We do not have someone manning the phones in the office after we close the office. We have a security team that live on site and answers calls 24/7. Next time you come, please look at the three bright yellow signs on the door: each of these has the phone number to call Security and Assistance if you arrive after hours. There is a map of our sites between these yellow signs that show available sites highlighted in blue. Instructions are on one of the bright yellow signs just next to the map. The large bulletin board at the front door shows our rates as well as the number for security. Also for future reference, the personnel at the Inn are not associated with our RV Resort and are unaware of our procedures although we appreciate them trying to help you. All personnel are authorized to give appropriate discounts. We so look forward to seeing you again in the future. Thank you for taking time to write this review. We arrived after closing and the security guard showed us to a simple spot. No picnic table. No concrete pad. Perfectly level pea gravel spot doubled up with two RVs to the long pull through. But we were the only one in there. In the morning I went to pay, I got a for being a former firefighter. The place is very nicely landscaped and perfectly clean. The front office was very modern and businesslike with computers and Tastefully decorated. The woman who helped us was very friendly. She was happy to give me the discount. We camped at Elephant Butte Lake RV Resort in a Motorhome. Thank you for taking the time to leave your review of our RV Resort. It was a pleasure having you here! Safe travels! We called the recording to find out when the office closed which said 5:00pm. We decided we didn't need to call ahead for a reservation but when we arrived at 4:30, the office was closed! We called the number on the door, nobody answered. Late arrival info told us to take a spot right behind the office. As we were staying for three nights, not just overnight, we decided to call the 2nd number in hopes of getting a spot. A man answered and told us that 5:00 was summer hours and they forgot to change the recording. This is November right? He came to help but said he had "No authorization to give us a spot". What? We came directly to the park before picking up our rig because we wanted to make it before closing so we were asked some strange questions about the shape of our rig and that he would have to inspect it before we could stay there. What? Not snobbish much are we? When he finally decided we were good enough to stay there, he told us to take one of the spots behind the office, and could move to another spot in the morning. That's not inconvenient at all! He then said we could stay there all 3 nights. We're not being difficult but we have a young dog in training and there is way too much commotion by the office, we didn't want her to bother everyone if she barked too much. When he refused to call someone to the office who could help and we realized we were getting no where, we decided to go to the other nice place and were checked-in, in less than 5 mins. Again, we're not being difficult, these spots are costly, you should be happy where you're at. We've been to Lakeside many many times, used to store our rig there too. I just hope management/ ownership hasn't changed for the worse. This used to be such a well managed and organized, friendly place. Not sure if we'll be back unless things improve. I sure hope so! If you are going to have someone answering calls, please provide contact information for someone who has authorization to rent out the sites. He was very nice and tried to help as much as possible. I don't place any blame on him, this was a very poor MANAGEMENT decision, he just lacked the required customer service skills. We camped at Elephant Butte Lake RV Resort in a Travel Trailer. We apologize for not updating our answering machine; that has been updated. Thank you for taking the time to write this review. We will share your kind words with our staff. Lovely, clean park with roomy spots available would like to stay longer but thought pricey for overnight. Large variety of parking spaces, be sure what size you reserve for long term. 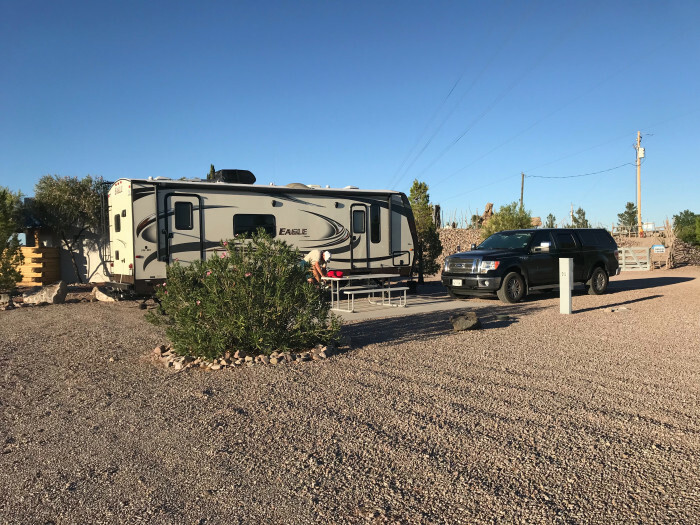 We camped at Elephant Butte Lake RV Resort in a Fifth Wheel. Thank you so much for taking time to post this review. The park is top quality. Beautiful,safe and accessible to all the local activities. The management is responsive to concerns. The swimming pool is very nice and family friendly. I rather not go to Elephant Butte if I could not stay at the resort. One thing to mention it is popular so make your reservations early. Very accommodating to extra parkingHighly recommended. We camped at Elephant Butte Lake RV Resort in a Travel Trailer. Oh cannot forget to mention the sister hotel property across the street which all facilities are also included as a guest of the Rv park. Great restaurant and bar. We so appreciate that you took the time to write this review of your stay with us. We look forward to your return. Have a safe spring and summer! Walk to restaurant across the street, excellent ribs and fun atmosphere. Nice restaurant at hotel across the road. Quite a creative menu. In summer, Elephant Butte Lake. Stayed here to go to Spaceport America but unfortunately tour was cancelled. The sites are spacious as far as being able to get a large rv in, and your vehicle you park, but most sites are within a few feet of another in the back side of them all. If you like privacy, you will either have to keep your curtains shut all the time, or learn to live with someone being close to the back end of your rv. Walmart and Bullocks market within 5 mi. in Truth or Consequences, NM. is sister town where most household shopping is located. Elephant Butte lake and state park has easy access from resort. Good hiking, easy access to trails, biking, fishing and off road. The Hatch Chili Festival looks 100% better on the travel channel. Ten dollars to park and has no discernible itinerary or heritage interest. The town of Elephant Butte has a great hike/bike trail and the lake offers all kinds of water sports and fishing. Unfortunately, we were here during the winter so we didn't participate in the water sports but we hear during the summer it is a blast! T or C (Truth or Consequences) is about 4 miles away and has a Walmart and lots of "regional charm", shopping, artsy shops, natural restaurants, medical/dental offices, etc. 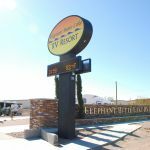 Are you affiliated with Elephant Butte Lake RV Resort ?